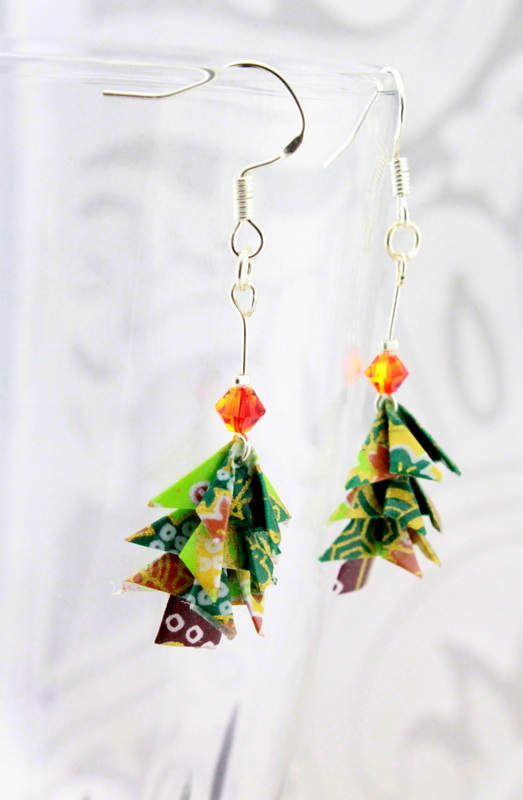 Pine Tree Origami Earrings - Swarovski Crystals -925 Sterling Silver hooks. 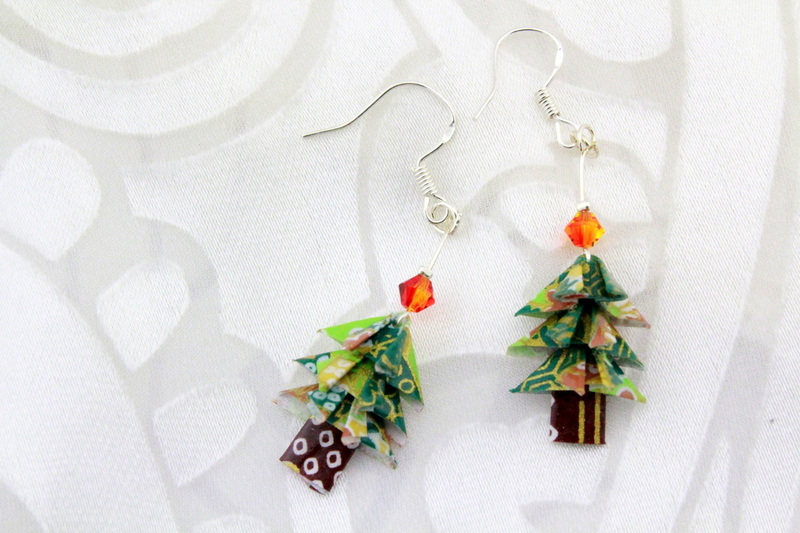 Two Pine Trees folded from Japanese Washi Paper and hand painted with water resistant coating. 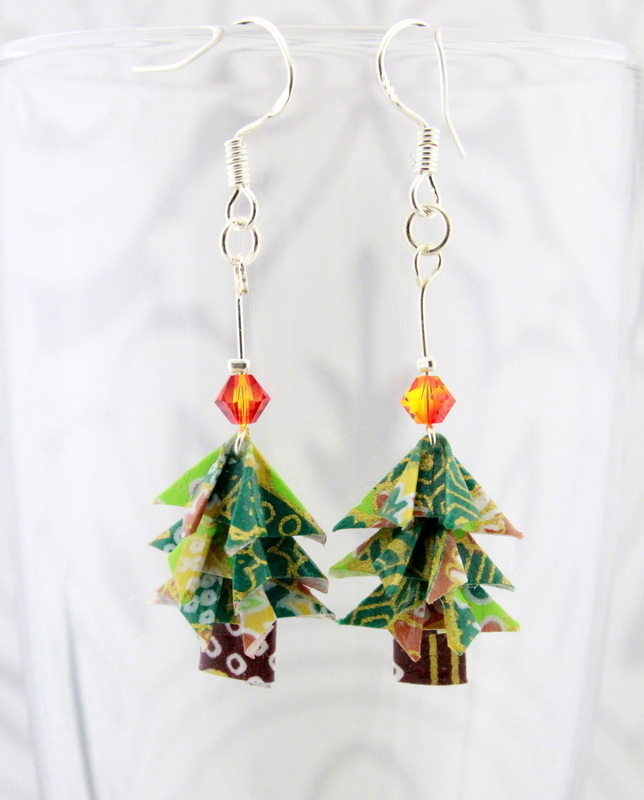 Assembled with sterling silver french hooks. 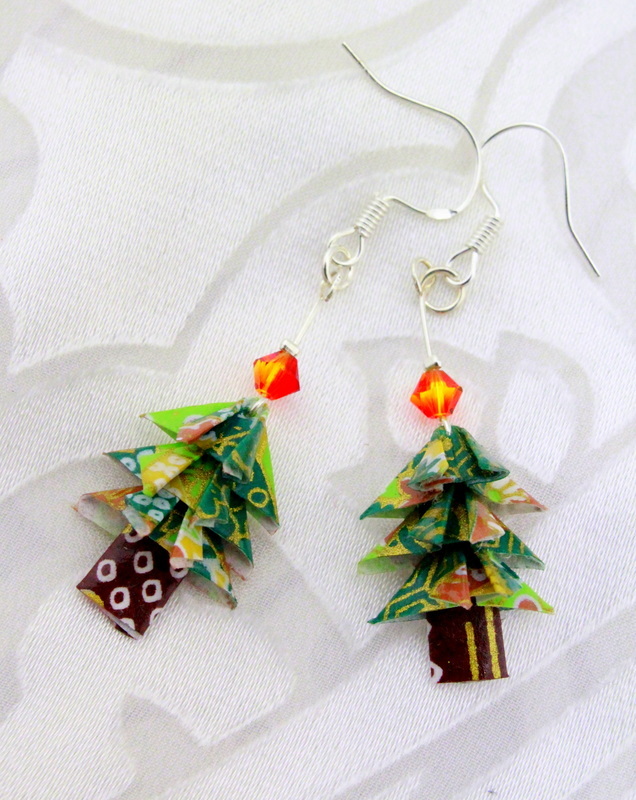 A piece of gift idea for Christmas or simply spoil yourself.